Tozai Games has announced its arcade classic game, R-Type Dimensions, will launch worldwide in Winter 2018. The game will be available for purchase on Nintendo Switch via Nintendo eShop. Players can enjoy the game in classic 2D graphics or hi-res 3D graphics. Full details and trailer below. 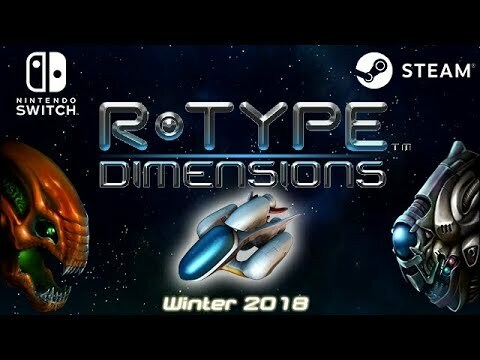 Tozai Games announced today that R-Type™ Dimensions will be launching worldwide on Nintendo Switch™ and Steam in late 2018. R-Type Dimensions includes both acclaimed arcade classics initially published by Irem, R-Type and R-Type II. Each title can be played in classic mode with the original 2D graphics and retro music or with hi-res 3D graphics and remastered audio. Two new features will be introduced in this edition: Full power-up mode, allowing players to power their ships to maximum weapon in Infinite Mode, and Fast forward, the ability to speed up the game in any mode. The Switch version will also feature in-game achievements.